Live within your means and save for your future, says the RC Manubhai Group of Companies, managing director, Dinesh Patel. He shared this piece of advice with employees who were gathered at the RC Manubhai Group of Companies, 2016 Awards Night held at Xavier College in Ba on Saturday evening. Mr Patel raised a question for his employees on how many of them were actually saving for their future. “Quite often we see people living beyond their means and simply depending and living on their wages on the week to week basis,” Mr Patel said. He added currently people were very fortunate that the Government was providing such help as free education, subsidised electricity and water, and financing for new home owners. He said the Government must be commended for lessening the burden of finance from people’s lives. “Most of these benefits were not here when our forefathers were here,” Mr Patel added. “So live within your means and save for your future. 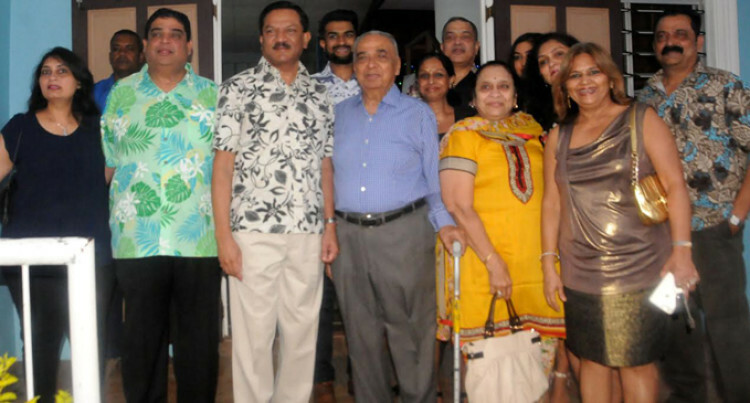 Mr Patel attributed the success of his family business to his forefathers who, he said, sacrificed a lot to ensure they were what they are today.